Senator Koko Pimentel said lawmakers should not be measured by the number of bills they filed but by the quality of the laws they made. This was the reply of Pimentel to a question from GMA’s Mel Tiangco who asked the former Senate President about the slow pace of lawmaking under his watch and for having little output in terms of bills and resolutions filed. Pimentel said Tiangco’s questions were based on a wrong premise (that he was perceived by his peers as being lazy) and that he does not believe a fellow senator would diss him for his work ethic. “Hindi po tayo nakiki-compete sa paramihan ng bills. Let us not compete sa paramihan ng na-file, ang iba nga diya nagkokopyahan lang. Hindi po ako ganyan,” said Pimentel in the GMA debate. 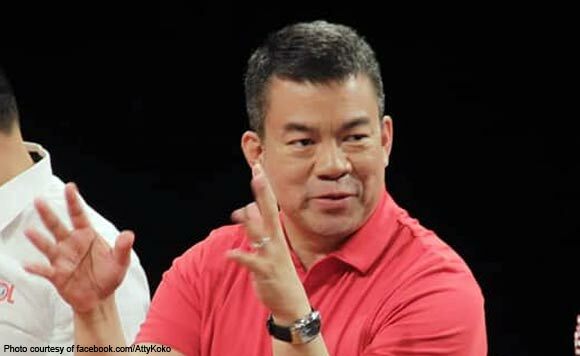 Pimentel said he focused his efforts on coming out with “quality bills”, specifically those that would fulfill President Rodrigo Duterte’s campaign promises such as free irigation, free tuition fees and increasing the base pay of police and soldiers. He all of these were passed under his watch. He denied that he was replaced because of disappointment on his performance by his peers. He said having Senator Tito Sotto succeed him as Senate president was part of an “agreement.” He said being SP would “cap” Sotto career as senator before he steps down in 2022 (he is on his second straight six-year term).